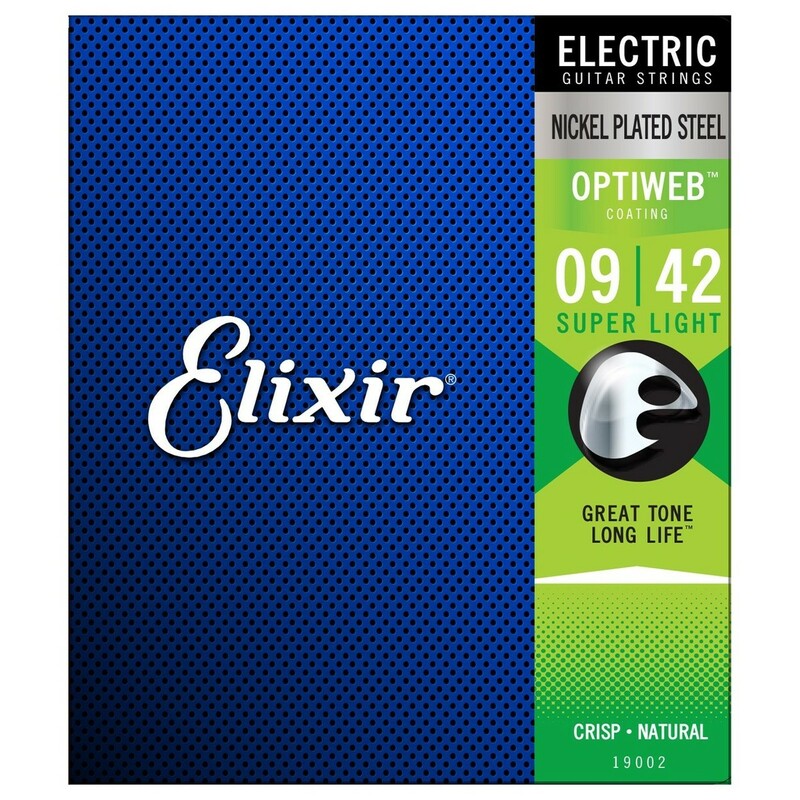 Elixir's OPTIWEB Coated Electric Guitar Strings offer a super light gauge to provide a comfortably easy playing performance, perfect for new players and those that favour sting bending. OPTIWEB strings provide the long-lasting technology of Elixir's coated strings, with the crisp tone and natural feel of an uncoated string. Designed to offer the best of both worlds, players gain the premium benefits of Elixir's innovative coating technology without sacrificing any tone and feel. Elixir strings are the leading manufacturer of coated guitar strings, after pioneering coated string technology in the 90s. Constantly evolving their strings to meet the needs and expectations of guitar players, the OPTIWEB strings are designed for electric guitar players who value the tone life of strings. Offering the same crisp tone and natural feel as uncoated strings, the Elixir strings ensure that players gain an incredibly long string life without sacrificing the tone and feel. The OPTIWEB strings are made from nickel-plated steel, providing the tonal characteristics with brightness and warmth, whilst boosting the attack for a strong, focused sound. This material also helps ensure the strings have a longer life, and when combined with Elixir’s coating, ensures you can keep playing without changing your stings as much as normal strings.